All kids love scary stories. The millions of us who grew up devouring “Goosebumps” books can attest to that. During my formative years, I read tons of books and watched lots of movies about ghosts and goblins and creepy things that live under the bed, hoping that one day I might discover one myself. I know I wasn’t alone, because the 90s provided us with a few releases that dealt with just that: young kids in sleepy small towns discovering ghosts, witches, and all manner of supernatural kookiness in their own backyards. 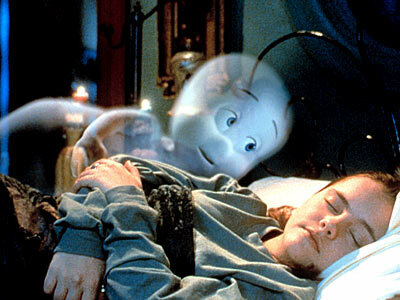 Of these, the one I remember watching the most was 1995’s “Casper,” the big-screen adaptation of a classic cartoon about a lonely little ghost who just wants a friend. Revisiting “Casper” was a weird exercise, because it’s difficult to seriously critique family films, especially when they’ve got big flaws. There’s always a desire to be forgiving of kids’ movies in ways you wouldn’t be of movies for adults. In the brilliant Videogum column “Hunt for the Worst Movie of all Time,” writer/victim Gabe Delahaye avoids children’s movies for that very reason—they may be bad, but they’re not made for adults with developed tastes. Still, one wonders why studios would even consider trying to push obvious crap on younger audiences simply because they won’t pick up on a movie’s issues (i.e. : Monkey Trouble). I think there’s a nasty kind of wrongheadedness to that position. But I digress. Now, to be fair, “Casper” isn’t obvious crap. As a kid, I greatly enjoyed it, despite the fact that I remember being confused by some themes that I found even more confusing as an adult. I’m not sure who this movie’s intended audience was, but I do know this movie missed whatever mark it was aiming for, since there are some odd themes that take the movie in two polar-opposite directions at the same time. The setup: an implausibly huge condemned mansion in Maine is bequeathed to a screechy villain played by Cathy Moriarty. 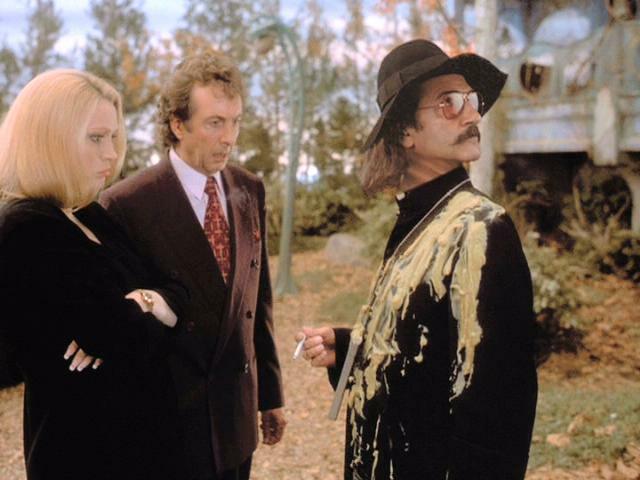 Her lawyer, Eric Idle, discovers that the house contains buried treasure, suddenly making the property a lot more appealing. But before they go digging for gold, the conniving pair has to rid the house of some pesky ghosts (Casper and his three obnoxious “uncles”). After a couple of failed professional removals, Moriarty and Idle hire Bill Pullman, a shrink who specializes in helping spirits pass on. He’s like an attractive John Edward who wears dad cardigans. By the way, in case you’re wondering, Bill Pullman does still manage to look good dressed like Mr. Rogers. He moves in to the condemned house—safety hazards be damned!—with his young daughter, Christina Ricci, who befriends Casper as her dad goes about discussing unfinished business with the three not-so-friendly spirits. Initially, my quibbles were minor. The “realistic adult” in me wondered a little bit about the quality of the house itself. In this movie, “condemned” must just mean “dusty.” The house seems like it should be a wasteland of mold and hazardous chemicals, but it all appears to be in working order, complete with electricity and upholstery that somehow hasn’t faded or succumbed to moths. There was also some inconsistency about the physical properties of ghosts: at one point Casper’s hand goes right through Ricci’s, but later he’s able to grab her by the ankle and lift her off the ground. He’s also handy in the kitchen. 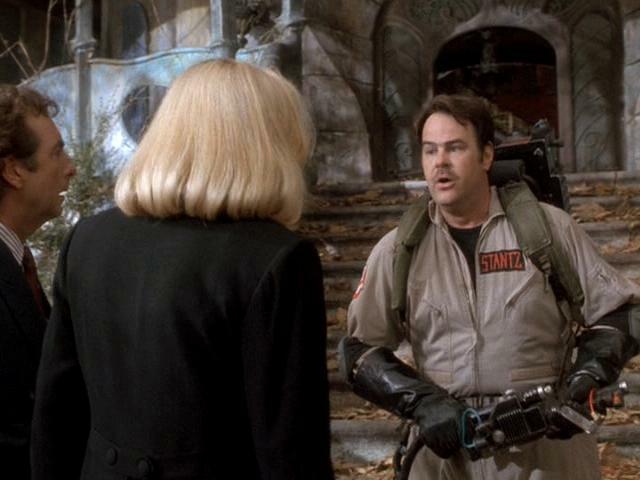 But the true problems with “Casper” go beyond building safety and scientific accuracy. I mentioned earlier that the movie goes in several directions at once. They mostly stem from this issue: “Casper” can’t decide whether it should be, as Owen Gleiberman puts it, a “hellzapoppin’ funhouse jamboree,” or a poignant story about love, loss and coming-of-age. So it tries to be both, and the result is uneven. Funny scenes end with touchy-feely sentimentality that kind of ruins the mood, often followed by sophomoric slapstick that falls flat (for example, any scene featuring Moriarty and Idle). There’s also the issue of the central relationship between Ricci and her ethereal BFF: both Casper and Ricci are supposed to be around 12 years old, but their feelings towards each other are clearly more than platonic. It feels like a bit too much. 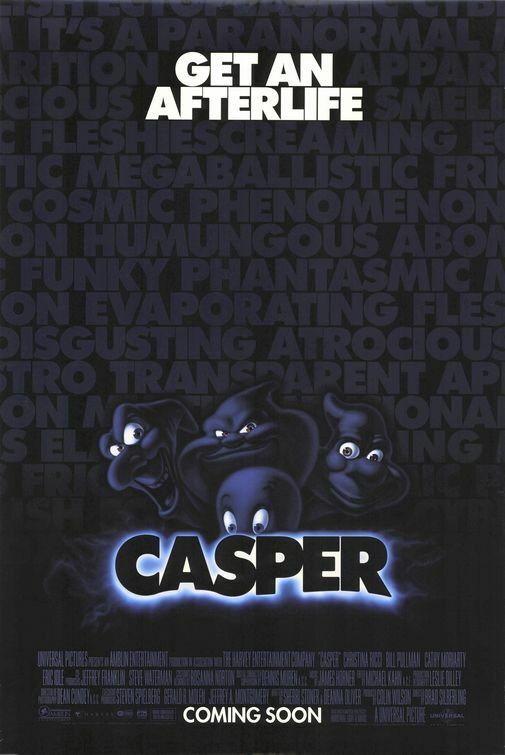 Granted, they aren’t out-of-the-ordinary emotions for seventh-graders, but here’s the thing: at age 12, I wouldn’t have been interested in a movie like “Casper.” At age 7, I definitely was. However, back then I was more into hellzapoppin’ funhouse jamborees than semi-serious discussions about sensitive feelings. It’s a problem I remember having when I first saw the movie that carried over to my reactions as an adult. This weird Catch-22 puts “Casper” in an awkward position that only gets worse as the movie continues. 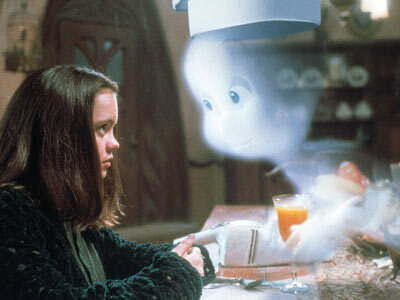 I suppose that in the spectrum of revisited children’s movies, “Casper” is one that doesn’t hold up to much scrutiny. It’s got issues. There are parts that are definitely aimed at the elementary-school crowd that induce eye-rolling from adults, but there are also some gushy moments that seem to be trying to give the movie some emotional legitimacy, but just end up making both the adults and the kids feel uncomfortable. 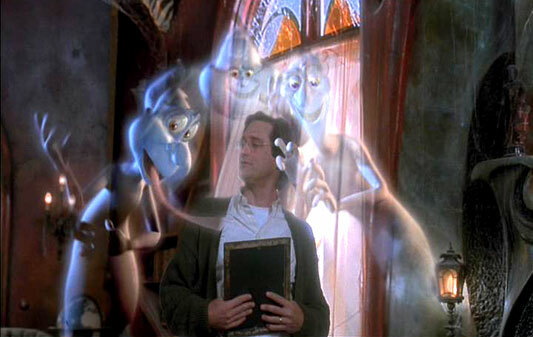 Given how much of the latter there is in “Casper,” I’m kind of surprised I enjoyed this movie at all back in 1995. I guess I can chalk it up to that deep-rooted love of spooky stories—that and a fully-furnished haunted house the size of Connecticut. I know this is beside the point, but any “Ghostbusters” fan worth their salt will tell you that if you want a ghost removed correctly, you hire Egon Spengler. Just saying. -In addition to “Casper” being based on a classic cartoon, this movie begat its own animated spinoff, which I actually remember enjoying more than the movie. – “Casper” was also followed up with a couple of direct-to-video sequels, including “Casper Meets Wendy,” starring a pre-“Lizzie McGuire” Hilary Duff. Has anyone seen that? Because I have not. -Finally: a great big fat thank you to Owen Gleiberman for introducing the phrase “hellzapoppin’ funhouse jamboree,” a term I vow to never, ever forget, into my vocabulary.